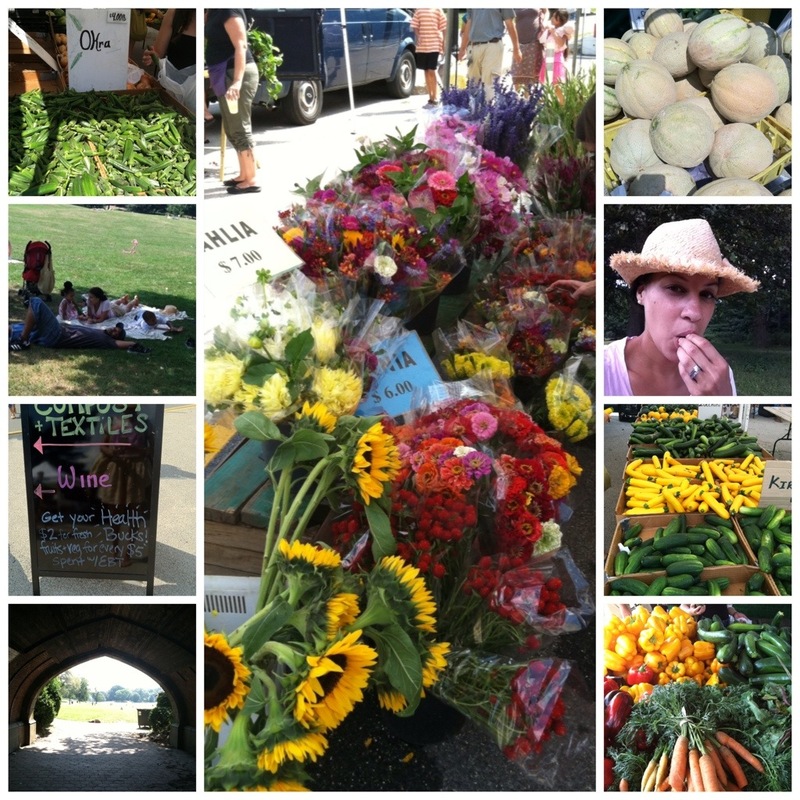 Prospect Park Greenmarket is my first stop on Saturday mornings. We make it a family outing to the park. All I have to pack is a blanket, some toys, a diaper bag, and everything else (food wise) we buy at the market. There’s such a variety at this farmers market. I’m so amazed at the quality and the options available. You can buy organic breads, pastries, organic fruits and vegetable, cage free eggs, turkey, fresh fish, juices, flowers, honey, and there’s even a composting section. Sometimes they have wine tasting! After we’re done shopping we take a nice stroll into the park and have a picnic. Here’s a few pictures from our last visit. It is so cool that you make this a family affair. I still have fond memories of my mom taking me to farmer’s markets in Florida over 30 years ago and it made a significant impact on my appreciation for fresh, real food! Thank you! As parents we set the first examples for our children, so it’s important for us to expose them to the natural aspect of eating organically and healthy. My kids just love to go to the Farmers Market. I’m sure like you they too will have fond memories to look back on.